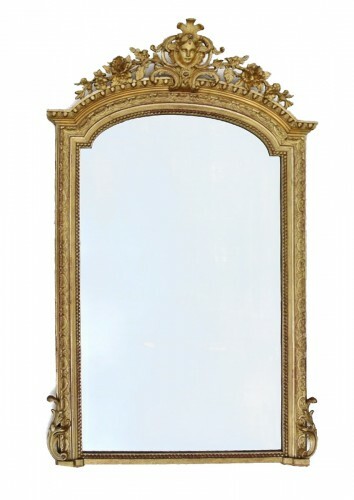 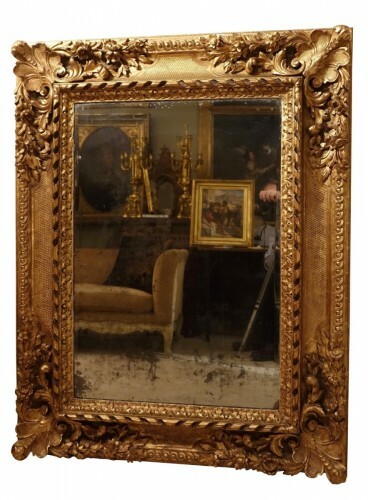 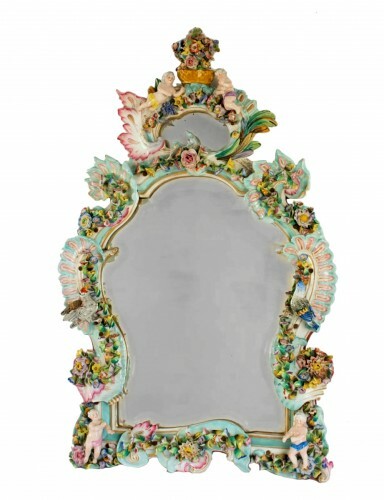 Large Louis XIV style mirror, circa 1850 Rectangular mirror richly decorated, with fishnet pattern, Louis XIV style, giltwood (no stucco elements). 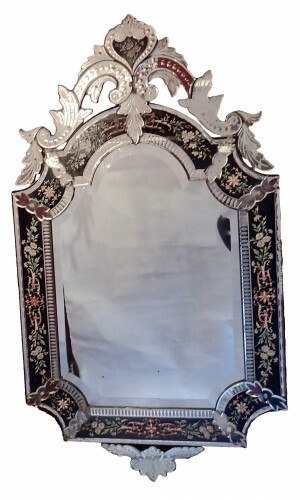 Mercury bevelled central glass. 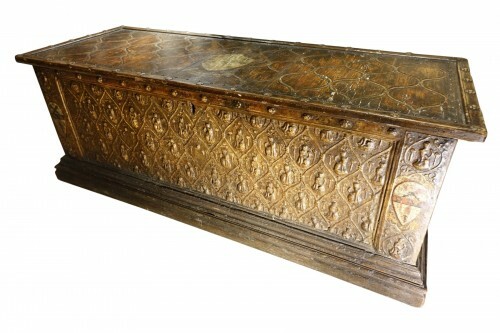 Original parquetry wood back. 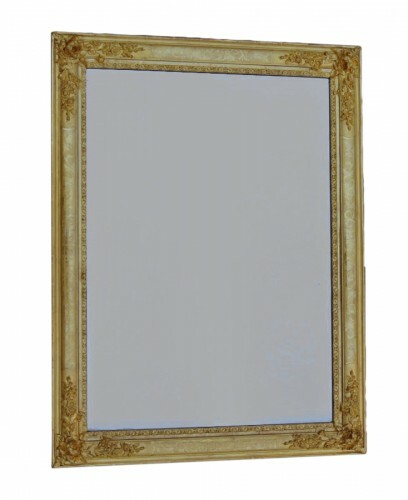 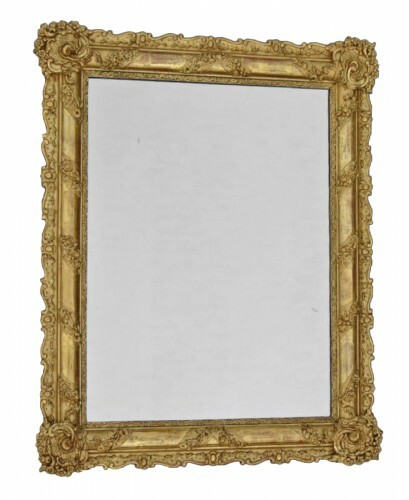 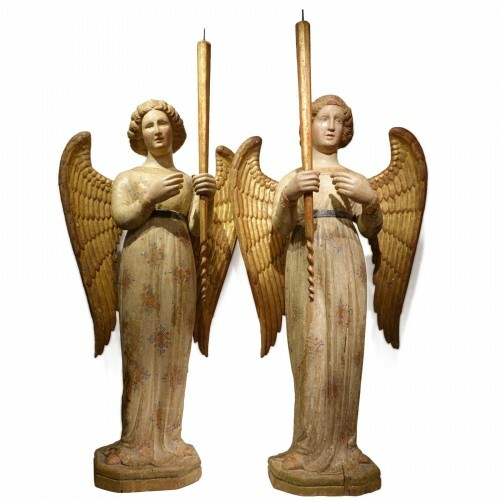 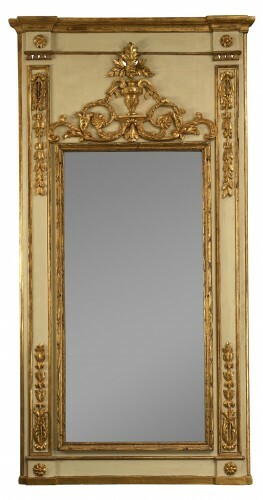 The mirror can be displayed horizontally or vertically France, before 1850.